Today we’re continuing our educational series “Know Your Bling” with an in-depth look at silver jewelry. When selecting pieces for your personal collection, it’s important to remember that not all “silver jewelry” is created equal. There is variety in levels of actual silver content – or purity – and some metals that look silver are not actually silver at all. Here’s a run down of the different types of “silver jewelry” you may encounter, from highest purity to lowest. 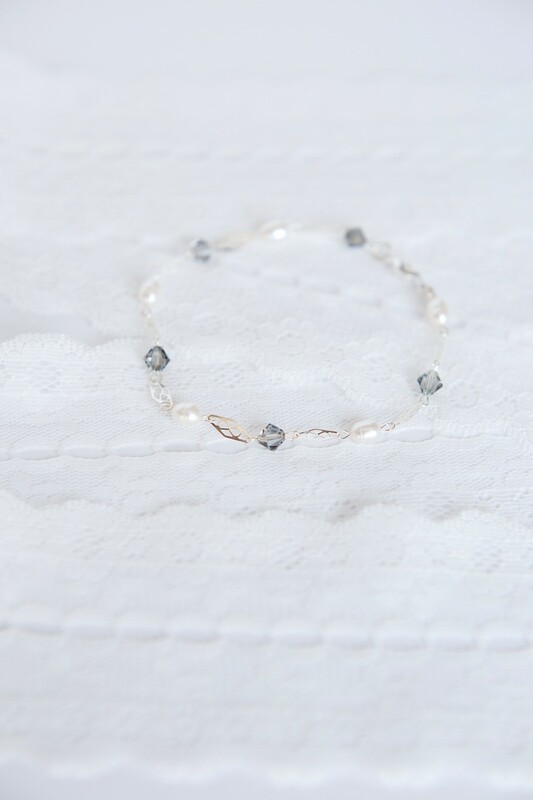 Fine Silver refers to items that are made from 99% pure silver. While it is especially lustrous, fine silver is not appropriate for most jewelry because it is not very durable, bending easily due to its softness. For this reason, it is not commonly used in jewelry that will be worn on at least a semi-regular basis. Sterling Silver comes next in terms of silver content. It has a composition of 92.5% pure silver and 7.5% copper or other base metal alloy, with these proportions set by law. 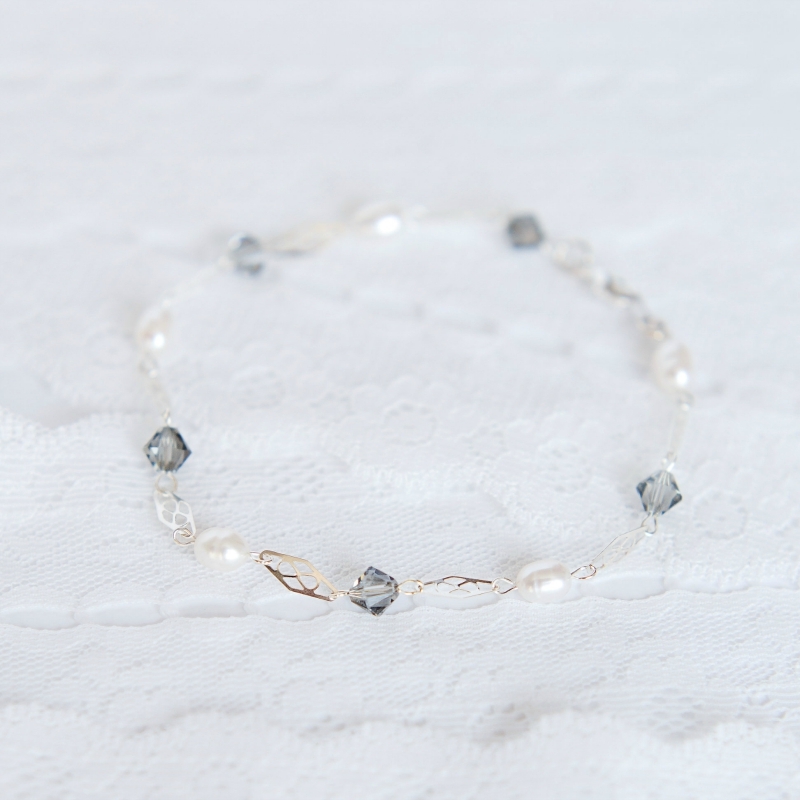 Sterling silver is often considered the standard among jewelry makers because it offers greater durability than fine silver while maintaining its high level of quality & beauty. 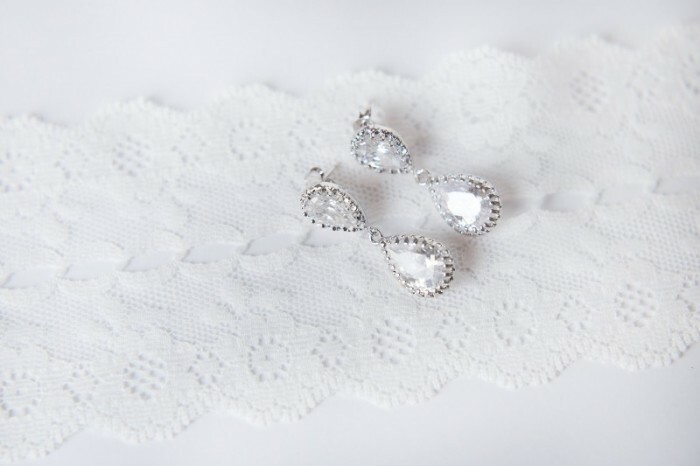 It is the best option for those with metal sensitivities, and many of our bridal earrings have sterling silver posts (even the gold ones!) due to this fact. You can often identify sterling silver pieces by looking closely for a tiny “.925” stamped somewhere on the piece. Sterling Silver Filled items are made by combining a durable outer layer of sterling silver and a copper-alloy core. 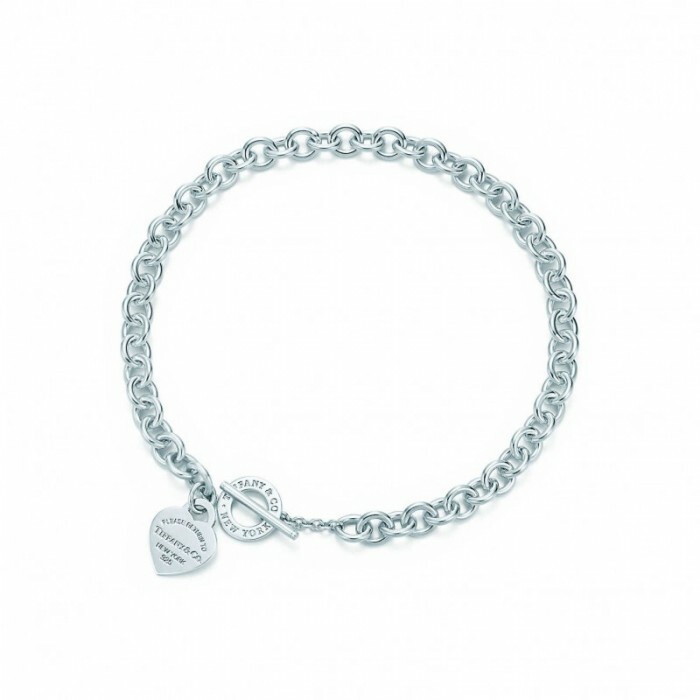 To qualify as sterling silver-filled, and item must be made of at least 10-20% sterling silver. It receives an anti-tarnish coating at the end of the fabrication process to preserve the beauty of the metal. Sterling silver-filled items are often cited as being a more affordable alternative to sterling silver without sacrificing quality, but I have noticed in my own use that these items tend to patina (or look “antiqued”/lose their pure color) about as quickly as silver plated metals. For this reason, much of the silver jewelry in the J’Adorn Designs shop is either sterling silver or silver plated. Silver Plated metal is made up of a base metal alloy core with a fine silver outer layer. This is the most cost-effective alternative to fine silver in its more solid forms that still contains actual silver. That being said, the layer of plating does wear off with use, usually within 6 months in my personal experience. Silver Finished, also called “silver toned” or “silver colored” jewelry does not actually contain silver, but rather is a base metal that’s been plated with a different metal that has a silvery color. This is typically the type of “silver” jewelry components you will see at crafts stores such as Michael’s, JoAnn’s, and A.C. Moore. 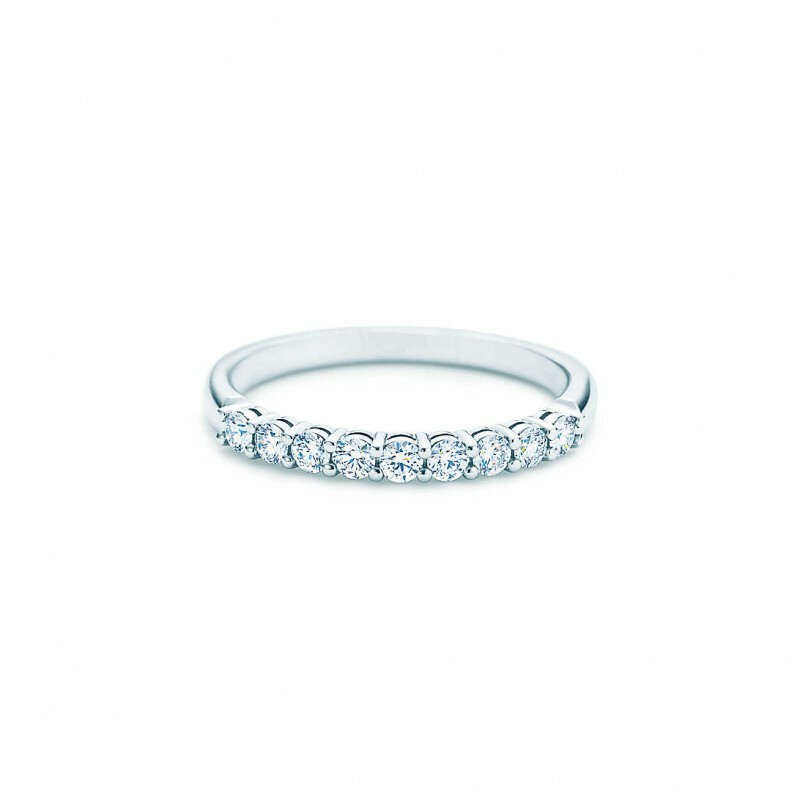 Platinum wedding band from Tiffany & Co.
Other “silver” metals vary widely in terms of quality and use. For instance, platinum is a favorite among connoisseurs of fine jewelry because it is extremely rare, holds up well, and is more valuable than gold or silver, but looks like silver in color. Rhodium is another silver-colored metal that is often used in fine jewelry for plating purposes; its most common use is in white gold (which is really just yellow gold with a rhodium plating overtop). Other metals like aluminum and nickel look similar to silver in color but are less expensive options with different levels of shine, color depth, and brightness. They are often used in alloys to create less durable but inexpensive jewelry, such as much of the mass-produced fashion jewelry found in chain stores. 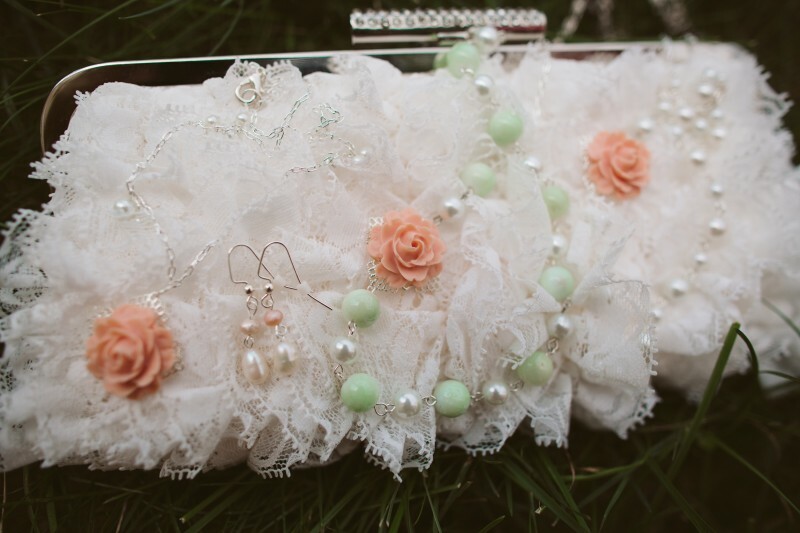 Although gold and rose gold are gaining popularity at the moment, silver has stood the test of time as a favorite in jewelry making since ancient times. It looks like silver is here to stay! Hopefully you’ve learned something new from this post and you’ll be a bit more confident next time you walk into a jewelry store or reach out to us with a custom design project. We are pleased to announce that we will be leading a jewelry making workshop as part of the Capitol Romance DIY Workshop Series! Join us at the Hill Center at the Old Naval Hospital in Washington, D.C. on August 2nd at 2:00pm. 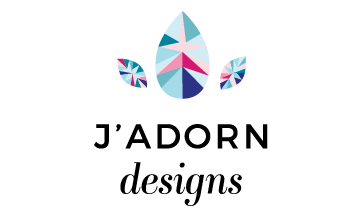 Attendees will learn tips and tricks from J’Adorn Designs’ owner & designer, Alison Jefferies. 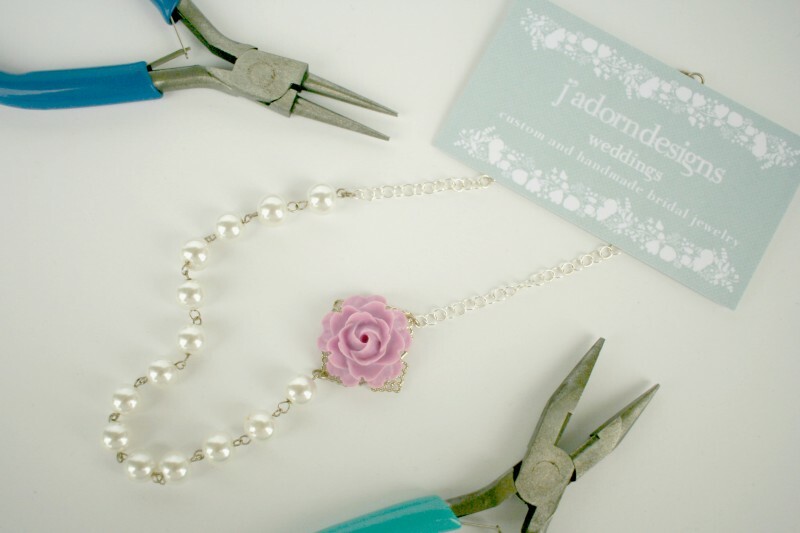 Each attendee will also learn how to create their own pearl & flower necklace to take home. Grab your tickets here, and get ready for a great afternoon of crafting & learning. Workshop ticket prices include all tools and items needed to create the craft, snacks and beverages provided by local vendors, and a sponsored favor! More information is available here.